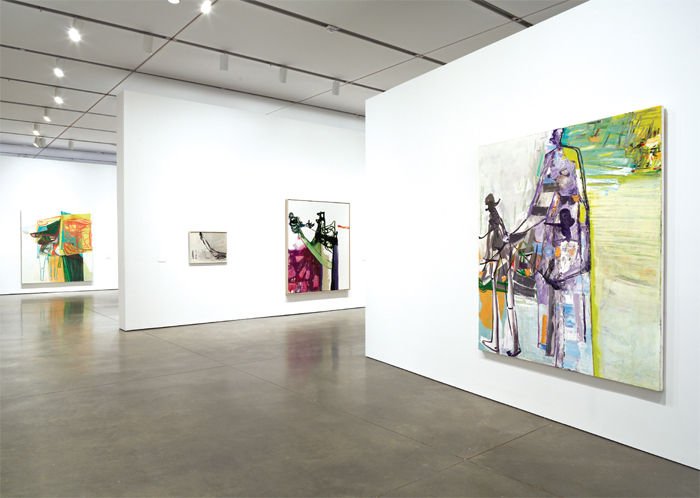 View of “Amy Sillman: one lump or two,” 2013–14. From left: Psychology Today, 2006; Untitled, 1999; A Bird in the Hand, 2006; Them, 2006. Photo: Charles Mayer. SO, IT TURNS OUT that Amy Sillman is indispensable. 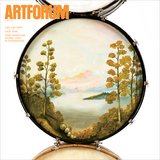 This expansive traveling survey, “one lump or two,” makes a pretty good case for her garrulous vision of painting as an elastic and ambitious pursuit. As a model of persistent picture-based engagement, it is something to account for. 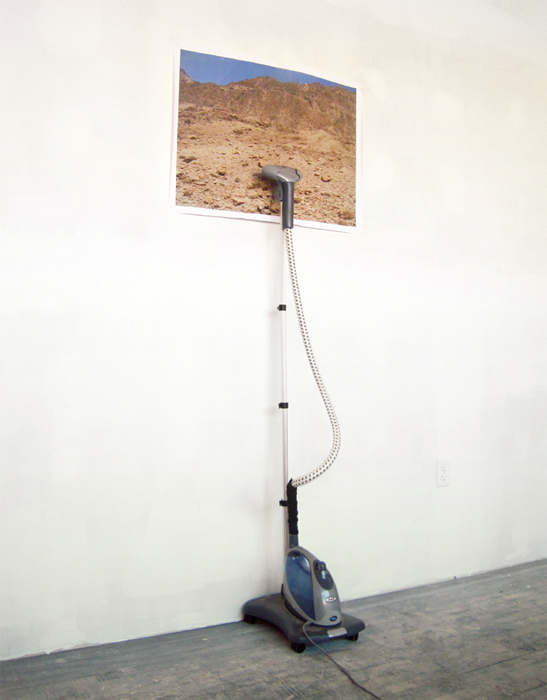 Carlos Jiménez Cahua, Untitled #104, 2013, ink-jet print, steamer, water, 81 x 32 1/4 x 16 1/2". In his witty Boston solo debut, Carlos Jiménez Cahua added a new twist to a long-standing philosophical quandary: Can art capture and communicate sensations, images, and systems that are normally imperceptible? That the artist answered in the affirmative is perhaps less remarkable than the way in which his compendium of simple gestures was wedded to some of the building blocks of globalization to produce surprising visual effects.